Summers in the High Country of North Carolina truly feel like no other. Spring rains create breathtakingly beautiful, green rolling hills and colorful blossoms just about everywhere one looks. The warm weather and blue sky beckons you outdoors to enjoy the wonderful amenities the area has to offer. Antler Realty of Banner Elk, North Carolina is proud to service the communities of the Blue Ridge Mountains, focusing on Beech Mountain real estate along with Sugar Mountain, Linville, Seven Devils, Matney, Boone, Valle Crucis and Banner Elk real estate. Our agency is staffed with experienced agents ready and eager to help you find your fit among Seven Devils cabins for sale. The area in and around Seven Devils is renowned for its natural beauty. Visit each of the gorgeous trails, waterfalls and other natural attractions in the area. Just about any resident you ask will attest to the “recreation trend” in the area – hang out on the slopes in the winter and on the trails in the summer. Build up a sweat and then cool off at Linville Falls, the waterfall with the highest volume of any waterfall on the Northern Edge of the Blue Ridge Mountains. Experience the gorgeous geology of stalagmites and stalactites at Linville Caverns, just south of Linville Falls. Stay close to Seven Devils and visit Bear Paw State Natural Area, the 148-acre attraction inside Town limits. Visit the Otter Falls Trails on the weekend, featuring miles of hiking through the cool mountain forest. An observation platform near the falls allows for a relaxing view at an elevation of 3,620 feet. Start living mountain life and let Antler Realty match you with nearby Seven Devils cabins for sale. The Blue Ridge Mountains in Avery County / Seven Devils offers fun activities for the whole family! Hawksnest offers snowtubing in the winter, proudly holding the title of the largest snow tubing park in North Carolina! Four different areas guarantee that snow tubers of all experience levels have a wonderful time. In the summer, zipline on one of the nation’s longest lines! 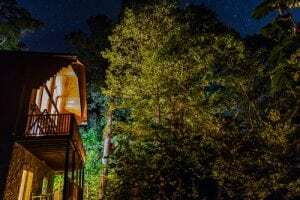 If you have fallen in love with the peaceful community of Seven Devils, trust the folks from Antler Realty to help you find the best deals among Seven Devils cabins for sale. You have visited the area and loved it…is it time to stay?